ASHFORD HOLLOW — The open-air demolition of the Main Process Building at the West Valley Demonstration Project has been delayed indefinitely. The last of 416 intermodal containers of debris — from the former vitrification facility that was demolished over the past year — left the WVDP facility in the town of Ashford last week, Anderson said. Cleaning up below-grade cells that were not part of the current contract will lessen the amount of radioactive material in the building and keep crews working, Bower said. The U.S. Department of Energy delayed the open-air razing of the Main Process Building — where spent nuclear fuel from nuclear power plants was reprocessed from the mid-1960s until 1972 — following an unexpected release last year of radioactivity during demolition in Hanford, Wash.
Bower said he could not discuss any timetable for a decision on whether an open-air demolition would be carried out. Anderson told Citizen Task Force member Raymond Vaughn that the Hanford release had left DOE officials nervous over open-air demolition. He said that Western New York winters make demolition more difficult. 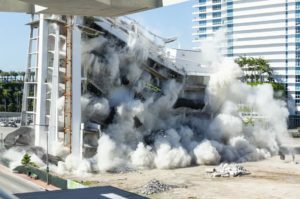 The demolition of the vitrification building showed that “maybe you need a structure to work in, maybe not,” he said. Bower said no decision had been made on whether the demolition would be open-air or not. The DOE is seeking requests for proposals on what to do with below-grade cells. “There are a handful of cells in the main plant that make us nervous,” Bower said. 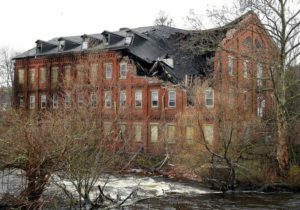 Citizen Task Force member Joseph Pati asked whether the hole in the roof left after removal of the remaining stack on the Main Process Building had been repaired. “To some extent,” replied Anderson. There are some areas of the roof where officials would like to put a temporary patch to keep water out of the plant. Bower also said the government shutdown had not impacted the cleanup at the nation’s first commercial nuclear reprocessing plant. The DOE is not among the federal departments involved in the partial shutdown that began Dec. 22. Work continues toward a prefered alternative for Phase II cleanup at the West Valley site. That draft recommendation is probably two years away. The Citizens Task Force has called in the past for a full cleanup of the site including removal of underground tanks that once held 600,000 gallons of highly radioactive liquid wastes, as well as the removal of state and NRC-licensed disposal sites.